Warning Signs of Bad Nursing Home Care. ≈ Comments Off on Warning Signs of Bad Nursing Home Care. It’s frustrating to discover that the care Mom is receiving in her new nursing home falls short of expectations—yours and hers. It’s frightening to think that it might be bad. ‘There are literally dozens of warning signs,’ says Dan Sewell, director of the senior behavioral health unit at the UC San Diego Medical Center. Here are what he and other experts consider especially serious red flags. . . .
Rhode Island Opens Records Law Not So Open. ≈ Comments Off on Rhode Island Opens Records Law Not So Open. A report released by Access/RI shows that in the two years since Rhode Island changed its open records law, enforcement of the law has been less than stellar. Access/RI isan alliance of First Amendment advocates and MuckRock, a group that works with journalists to secure and analyze public records. They show execution of the updated rules is extremely rare. The report states what is really happening isdifferent than what policy makers had hoped would transpire when legislation went through. When Rhode Island Governor Lincoln Chafee signed the Access to Public Records Act into law in June of 2012 it was noted that employment contracts and other documents that had been sealed in the past would now be public and readily available. Access/RI found that restructured law was not being followed when routine documents such as arrest reports and contracts were requested. Many school systems have been unwilling to comply with the law and instead give heavily redacted copies of employment contracts. . . .
New and Improved Congress.gov – Resource Section. ≈ Comments Off on New and Improved Congress.gov – Resource Section. The Library of Congress launched Congress.gov in beta two years ago. Today, I’m happy to announce we officially removed the beta label. That’s roughly three years quicker than Gmail took to remove its beta label, but we won’t give you the option of putting it back on Congress.gov. URLs that include beta. Congress.gov will be redirected to Congress.gov. There are a range of new enhancements in this release. One of the exciting additions is a new Resources section. This section provides an A-to-Z list of hundreds of links related to Congress. If you are not sure where something is located, try looking through this list. I quickly jump through the list using Ctrl+F and searching. You can find the new Resources page in the navigation on the top right or in the footer on every page. . . .
Appellate Judge Explains How To Lose An Appeal – Works Every Time! 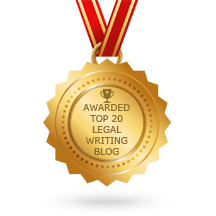 ≈ Comments Off on Appellate Judge Explains How To Lose An Appeal – Works Every Time! Webmaster’s note: This was originally presented as a lecture at Brigham Young University, J. Reuben Clark School of Law on January 21, 1992. It was later recycled as The Wrong Stuff, 1992 BYU L. Rev. 325. The lecture was repeated during the 1997 Montana State Bar Annual Meeting, and again recycled in the Montana Lawyer as How You Too… Can Lose Your Appeal (and you thought Judge Kozinski didn’t care about the environment!). The BYU L. Rev. edition is available as a PDF scan. What follows is the Montana Lawyer edition. Well, I have my pride. I want to be loved for my intellect, not just my face. So, I decided to talk on a totally irrelevant topic that I know a little something about: How to lose an appeal. First, you want to tell the judges right up front that you have a rotten case. The best way to do this is to file a fat brief. So if the rules give you 50 *6 pages, ask for 75, 90, 125–the more the better. Even if you don’t get the extra pages, you will let the judges know you don’t have an argument capable of being presented in a simple, direct, persuasive fashion. Keep in mind that simple arguments are winning arguments; convoluted arguments are sleeping pills on paper. But don’t just rely on the length of your brief to telegraph that you haven’t got much of a case. No. Try to come up with something that will annoy the judges, make it difficult for them to read what you have written and make them mistrust whatever they can read. Here are a few suggestions: Bind your brief so that it falls apart when the judge gets about half way through it. Or you could try a little trick recently used by a major law firm: Assemble your brief so that every other page reads upside down. This is likely to induce motion sickness and it’s always a fine idea to have the judge associate your argument with nausea. Also–this is a biggie–make sure your photocopier is low on toner or take a key and scratch the glass so it will put annoying lines on every page. Best of all, cheat on the page limit. . . .
Philadelphia Legal Opinion on Duty to Preserve Social Media Evidence. ≈ Comments Off on Philadelphia Legal Opinion on Duty to Preserve Social Media Evidence. Lawyers must take ‘appropriate’ steps to preserve their clients’ potentially relevant and discoverable social media evidence. That is the key take-away from an ethics opinion recently issued by the Philadelphia Bar Association. However, lawyers may advise a client to restrict access to the client’s social media so long as the attorney neither instructs nor permits the client to permanently destroy that information. An attorney may even instruct a client to delete information from the client’s page if the attorney preserves that information, including metadata. Changing social media settings to ‘private’ merely restricts who may access a web page. The opposing party can still access relevant and discoverable information through discovery or by issuing a subpoena. The committee concluded that this position satisfied Rule 3.4’s prohibition against altering or destroying evidence. As long as the attorney preserves the complete evidentiary record, including metadata, an attorney may advise a client to restrict access to the client’s social media evidence, or remove social media content entirely. To comply with discovery requests, a lawyer ‘must’ produce the client’s complete social media content if the attorney is aware of this content’s existence. This duty arises from Rule 4.1, which prohibits attorneys from making ‘a false statement of material fact or law to a third person,’ and Rule 8.4, which prohibits ‘conduct involving dishonesty, fraud, deceit, or misrepresentation.’ A lawyer that purposefully omits portions of social media content, or permits or directs the client to destroy social media content, violates these rules. Also, a lawyer must take reasonable steps to obtain relevant information from the client when the lawyer ‘reasonably believes’ that the client possesses relevant information, such as photographs, links, or other social media content. Despite being obligated to take reasonable steps, a lawyer need not obtain information that was neither in the client’s possession nor the lawyer’s possession. Alimony Reform in New Jersey. ≈ Comments Off on Alimony Reform in New Jersey. Change is finally here – On September 10, 2014, Governor Chris Christie signed into law substantial and significant amendments to New Jersey’s alimony law. The law took immediate effect on that date. I previously blogged about the now effective changes after the legislature passed the bill during the Summer, and we have prepared an Alert on the final bill that you can read here. . . .
Hearsay Rule Affects Texas State-of-Mind Exception – Or Does It? 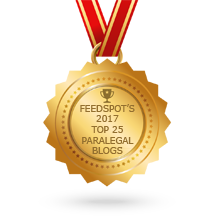 ≈ Comments Off on Hearsay Rule Affects Texas State-of-Mind Exception – Or Does It? A statement of the declarant’s then existing state of mind, emotion, sensation, or physical condition (such as intent, plan, motive, design, mental feeling, pain, or bodily health), but not including a statement of memory or belief to prove the fact remembered or believed unless it relates to the execution, revocation, identification, or terms of declarant’s will. Mr. Bukowski told me that the night that—that all three of them, they went out to the—to the guy’s house. He said that—that at first he had told Mr. Cogdill and Mr. Isaac Milne that it was just to go out there to rob the guy of some laptops, some computer software, and some musical instruments and stuff. He said whenever they got there he said—he said the guy that they went to rob used to be an old roommate of his and said that he told them that the guy was a convicted pedophilier (sic), and whenever they got out there he pulled a shotgun from his trunk, he held it on Mr. Cogdill and Mr. Milne and forced them to proceed with the—with the murder. First, we disagree with Cogdill’s interpretation of Bukowski’s statement. The statements allegedly made by Bukowski are merely a rendition of the events that took place on the night of the murder, i.e., out-of-court statements of events that occurred, and as such are hearsay and not admissible under Rule 803(3). . . . Second, numerous courts have held that for the exception set forth in Rule 803(3) to apply, the statement must relate to future, not past, conduct. A statement which was at the time of its making so far contrary to the declarant’s pecuniary or proprietary interest, or so far tended to subject the declarant to civil or criminal liability, or to render invalid a claim by the declarant against another, or to make the declarant an object of hatred, ridicule, or disgrace, that a reasonable person in declarant’s position would not have made the statement unless believing it to be true. In criminal cases, a statement tending to expose the declarant to criminal liability is not admissible unless corroborating circumstances clearly indicate the trustworthiness of the statement. The opinion doesn’t reference this Rule, but threatening someone with a shotgun to kill someone would certainly qualify as a statement against interest under the Rule, assuming that there were corroborating circumstances. And, unlike its federal counterpart, Texas’ statement against interest rule does not require that the declatant be unavailable. Insurers Using Generic Drugs To Shift Costs To Sick? ≈ Comments Off on Insurers Using Generic Drugs To Shift Costs To Sick? Insurers have long tried to steer their members away from more expensive brand name drugs, labeling them as ‘non-preferred’ and charging higher co-payments. But according to an editorial published Wednesday in the American Journal of Managed Care, several prominent health plans have taken it a step further, applying that same concept even to generic drugs. The Affordable Care Act bans insurance companies from discriminating against patients with health problems, but that hasn’t stopped them from seeking new and creative ways to shift costs to consumers. In the process, the plans effectively may be rendering a variety of ailments ‘non-preferred,’ according to the editorial. ‘It is sometimes argued that patients should have ‘skin in the game’ to motivate them to become more prudent consumers,’ the editorial says. ‘One must ask, however, what sort of consumer behavior is encouraged when all generic medicines for particular diseases are ‘non-preferred’ and subject to higher co-pays.’ . . .
Judge Posner Writes A Form Collections Letter. ≈ Comments Off on Judge Posner Writes A Form Collections Letter. Courts don’t often help lawyers out by providing templates, but Judge Posner’s opinion in Bartlett v. Heibl, 128 F.3d 497 (7th Cir. 1997) offers a form letter for those seeking to collect certain consumer debts. . . . Cool Evernote Tips, Tricks, and Q&A. ≈ Comments Off on Cool Evernote Tips, Tricks, and Q&A. This thread is for questions and answers about Evernote, and for sharing your favorite tips and tricks. You can also browse posts about Evernote on Lawyerist, and here is the old Evernote thread in the Lab.